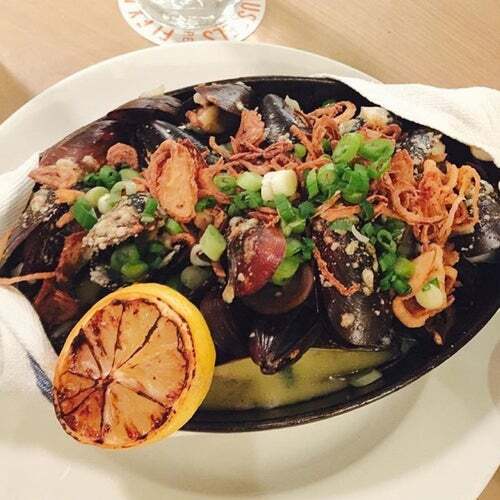 You want mussels, they've got em. Don't worry if you're not a mussel person? Don't fret. Flex mussels can help you "find the shortest, simplest way between Earth, the hands and the mouth" What's the best thing about dinner? Desserts by Zac Young. Get that deep fried whoopie pie, boys.